It’s well-known that Gov. Peter Shumlin is gung-ho about having Vermont pass a law this year to legalize marijuana. But Massachusetts? 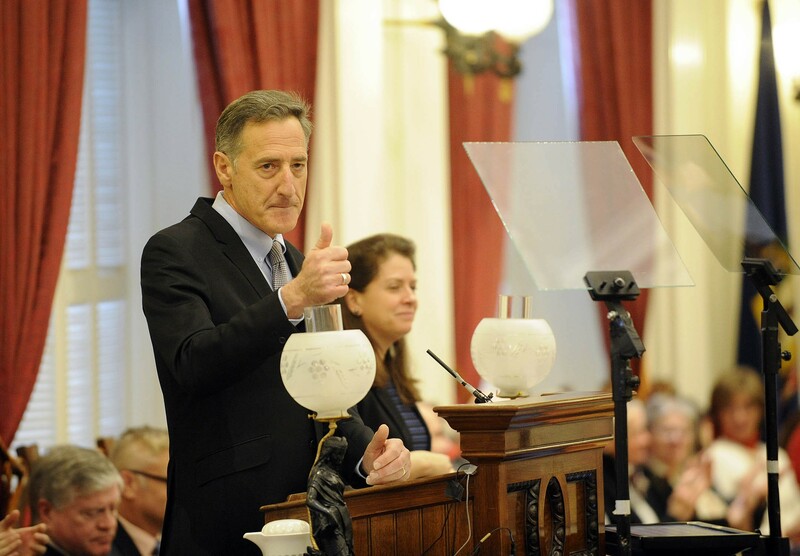 Shumlin is not so keen on that state’s legalization efforts. Never mind that it’s actually a referendum, not a bill. The Vermont governor noted that if Massachusetts approves legalization, it will allow edible marijuana products, smoking lounges, home delivery and possession of up to 10 ounces. A bill that the Vermont Senate has passed and is pending in the House would allow possession of up to an ounce, no edibles, no lounges, no delivery. Massachusetts newspapers picked up Shumlin’s sentiments in articles that ran this past weekend. From a Massachusetts lens, it looked as though Vermont’s pro-legalization governor — he’s taken in thousands of dollars in campaign contributions from pro-marijuana groups — was suggesting Bay Staters ought to vote against legalization. Not so, Shumlin spokesman Scott Coriell said Monday. Shumlin may be making things harder for Massachusetts legalization advocates, but his comments appear to be directed more at his home turf. He’s trying to use Massachusetts’ November vote as leverage to get a Vermont law on the books. If Vermont passes a bill this year, it would be the first state to legalize marijuana through legislative action rather than by a public vote, which allows the state to more specifically tailor the law, Shumlin noted. And then if Massachusetts voters approve legalization, there’d be nothing to keep Vermonters from heading to Massachusetts for edibles and lounges. But that is an op-ed for another day.